" The service is excellent. The range of products is wide and the shipment is prompt. Thank you very much." Now, the larger-than-life story of The New Testament gets a larger-than life treatment in the stand-alone feature SON OF GOD. Told with the scope and scale of an action epic, the film features powerful performances, exotic locales, dazzling visual effects and a rich orchestral score from Oscar®-winner Hans Zimmer. Portuguese actor Diogo Morgado portrays Jesus as the film spans from his humble birth through his teachings, crucifixion and ultimate resurrection. It marks the first motion picture about Jesus’ life since Passion of the Christ, released ten years ago. A Freedom Begins Here study tool when it is time to have 'The Talk'. Can a child stray so far, a father's love can't save him? Can Jesus be both God and man? I saw this film in the theater, and it did not disappoint. 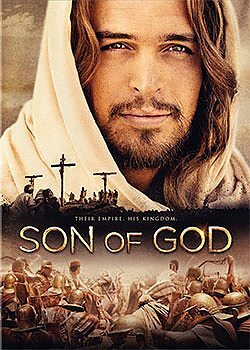 While some parts of the movie may have "questionable" interpretation Biblically, I thought overall the film portrayed Jesus well. The actor gave Jesus an emotional component other films have lacked. Worth seeing for yourself! This movie was not Biblically doctrine based and I had to turn it off.